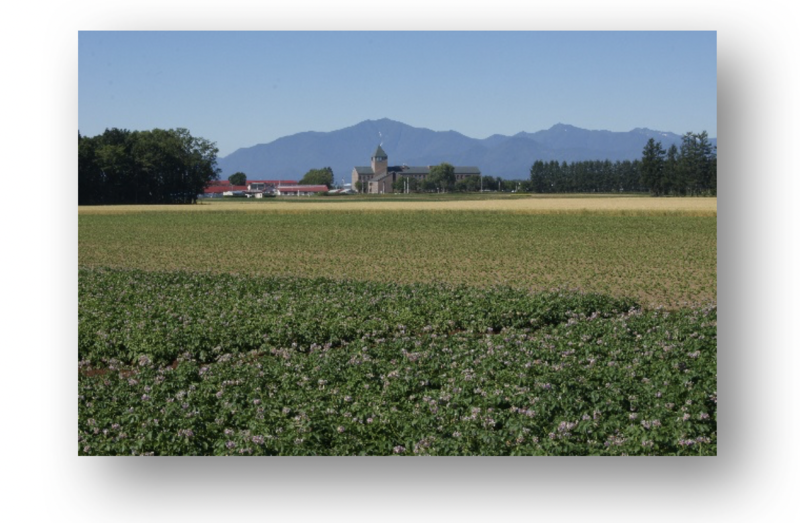 Large-scale field crop rotation that is based on four crops of wheat, potato, sugar beet, and legume as a core crop is widely implemented in the field of Hokkaido. In recently, due to the aging of farmers and the decline of persons engaged in farm household, the scale of field crop management per farmer has been expanded. Therefore, it is necessary to establish the stabilizing farming management and high profitability by promoting further labor saving, maintaining crop rotation system through the introduction of new varieties and items. It is also important for strengthening agriculture in Hokkaido and developing local communities by revitalizing various food-related industries using agricultural products from Hokkaido and increasing demand by branding. Therefore, in cooperation with actual users we are improving breeds of field crops such as wheat, potato, sugar beet, buckwheat with high quality and agricultural characteristics. Furthermore, we are developing process and utilization technology for improving the added value of agricultural products and expanding demand. Specifically, in wheat we are developing varieties with resistance to pre-harvest sprouting and suitable for making bread, Chinese noodles and confectionery. In potatoes, we are developing varieties with strong resistance to pests such as nematodes,suitable for processing as potato chips and French fries, and breeding varieties for new applications. In sugar beet, we are developing varieties with high sugar yield, which have resistance to diseases such as Aphanomyces root rot occurring under high temperature and high moisture condition. Among bioresource crops, we are developing buckwheat varieties and technology for cultivating medicinal crops which is expected to be introduced into crop rotation system as highly profitable crops to support the efforts of the 6th industrialization. In addition, we are developing processing and storage technology, new application, evaluation method for functional components that lead to high quality and high added value, making maximum use of the capabilities of new varieties for agricultural products.